Per BabyCenter, my uterus went from the size of a tennis ball to the size of a grapefruit this week. What a strange and funny thought. But at least that’s clearer than last week, when it went from the size of a lemon to a tennis ball. 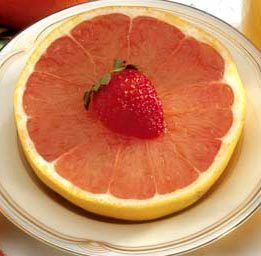 Uterus is the size of a grapefruit right now, and the baby is probably the size of that strawberry.